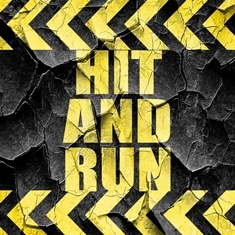 Do You Know What to Do If You Are Involved in a Hit-and-Run Accident in San Bernardino? The San Bernardino Sun reports that in late July, a woman tragically lost her life and several people were injured in a three-vehicle accident at Mill Street and Mt. Vernon Avenue. A driver in a Ford Mustang allegedly ran a red light at high speed and struck a Nissan Armada so hard that it impacted a pole and knocked a traffic light to the ground. The Mustang then struck another vehicle on Mt. Vernon Avenue before fleeing the scene. Luckily, the nearby Colton police caught the suspected driver quickly afterwards. Accidents like this are scary when they happen, but can serve as an important reminder to make sure that you know what to do if you’re involved in a hit-and-run accident. Get the license plate number of the other car. Even a partial plate can help the police track the driver down. Try to note the make, model, and color of the other car, as well. Also note any unique details that could help the authorities identify the car, such as the damage from the accident, bumper stickers, or window decals. Call the police. Report a hit-and-run immediately by dialing 9-1-1, especially if someone has been hurt. There’s a chance that the authorities could catch the driver before they get too far away. Even if the accident was minor, you’ll want it on the record that you reported it as soon as possible. Get to safety. Move your vehicle to the side of the road if you can do so safely and without further injury or damage. Do not stay in your vehicle if you cannot move it to safety, and never stay in or around your vehicle when it’s in the road. Get to the sidewalk or the side of the road immediately to avoid being seriously hurt by oncoming traffic. After the accident has been cleared up, be sure to file a police report, if you didn’t do so with an officer on the scene. You’ll also likely want to contact your insurance company, and you may want to seek legal assistance right away to help you recover from the accident. Steinberg Injury Lawyers has been handling accident and injury cases for over 34 years, and we know how to help you when you’ve been in a car accident. Call us for a free case evaluation any time, day or night, at 800-989-6385.